On 21st November two members of Music staff presented papers as part of the Royal Musical Association’s Study Day on ‘Researching music as process: methods and approaches’, hosted by the Faculty of Music, Oxford University. Dr Laudan Nooshin’s paper ‘Between a rock and a hard place: discourse, practice and the unbearable lightness of analysis. Methodological challenges in studying creative process in Iranian (classical) music’ presented a case-study of two Iranian musicians, Amir Eslami and Hooshyar Khayam, as a means of uncovering some of the methodological challenges of analysing and understanding creative process in ethnomusicology. Dr Diana Salazar presented a paper on a practice-led collaboration with dancer Maria Salgado Llopis, entitled ‘Corporeal cartography: navigating process in the development of an expressive system for dance, improvisation and sonic art’. This presentation examined approaches to documentation and reflection during the development of a work for interactive dance and sound. This entry was posted in Uncategorized on November 29, 2013 by Diana Salazar. 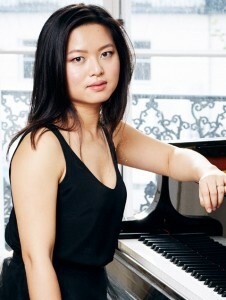 The Worshipful Company of Cordwainers has made its £1500 annual award for a City University music student to Hong Kong-born pianist Annie Yim, who is currently studyng on the DMA programme run jointly by City University London and the Guildhall School, supervised by Dr. Christopher Wiley and pianist Joan Havill. Annie is a remarkable scholar and performer whose performance of Beethoven’s Emperor Concerto with the City University Symphony Orchestra in St Luke’s in 2013 won much admiration; she has also performed widely around the UK, Europe and Canada, including recent appearances at festivals at London, Geneva, Trasimeno and Vancouver, as well as broadcasting on CBC Radio 2, BBC Radio 3 and Portuguese Radio Antena 2. She has been a regular and important contributor to City’s musical life not only as a soloist but also as a chamber musician. She has performed regularly with the Minerva Piano Trio in our concert series; the ensemble was also recently chosen as part of the Park Lane Group Young Artists series, and will be giving their debut at the Purcell Room on January 7th, 2014 (tickets available here). Her research focuses on performance practice in chamber works of Robert Schumann and Johannes Brahms, particularly on the early version of Brahms’s Piano Trio in B op. 8. She has given various papers and lecture-recitals, including recently at the Conservatoires UK Postgraduate Research Forum highly valued member of the research and performing communities at City University London and we are delighted to congratulate her on being the recipient of this award. Annie’s website is here. This entry was posted in Uncategorized on November 26, 2013 by sbbf461. Dr Miguel Mera has given a series of lectures for the International Institute for Popular Culture (IIPC) at the University of Turku, Finland. During his week-long visit he gave presentations on the manipulation of the human voice in contemporary popular music, mashup principles employed in recent film scores, and approaches to scoring silent films. He also advised several PhD students on their research as part of the Finnish Society for Ethnomusicology’s annual Marrasseminaari. Dr Mera’s visit is part of an Erasmus exchange scheme that will welcome Professor John Richardson to City University London in February 2014. This entry was posted in News and tagged Erasmus, film music, Finland, human voice, Institute of popular culture, mashup, Miguel Mera on November 16, 2013 by sbbf526. The second half of October saw a series of Middle Eastern and Mediterranean music events in the Music Department at City University, starting on Monday 21st October when we welcomed Professor Rachel Beckles Willson from Royal Holloway, University of London, to lead a Turkish makam workshop with second and third BMus students taking the Music Traditions of the Middle East module. This was followed on Tuesday 22nd October by a concert – part of the Inside Out Festival – of music from the Eastern Mediterranean and the Middle East with Kalia Baklitzanaki on voice, nay and naval, Jon Banks on kanoun, Ruth Goller on double bass and percussionist Vasillis Sarikis on riq, darbuka, frame drum and cajon. The band performed a range of pieces including both traditional songs, some collected by Kalia during her travels and from her native Crete, and original material. Also part of the Inside Out Festival was the half-day conference on Wednesday 23rd October focused on Middle Eastern music in the urban UK and featuring a number of speakers and performers. The event was organised by City PhD student Miranda Crowdus and included a presentation by another PhD student, Seth Ayyaz. The afternoon ended with a performance of Iraqi-Jewish music by Sara Manasseh and Keith Clouston (see separate blog entry). Finally, on Saturday 26th October, City lecturer Laudan Nooshin presented a talk in the beautiful setting of the Mosaic rooms in Kensington, part of both the Inside Out Festival and the London Borough of Kensington and Chelsea’s annual Nour Festival of Middle Eastern and North African arts and culture. The panel was entitled “Iran: An Overview of Classical and Popular Musical Developments” and included 3 speakers talking about different aspects of contemporary music in Iran. Laudan’s talk was about experimental practices among young Iranian musicians. This entry was posted in Conferences, External events, Research on November 13, 2013 by sbbd746. Professor Stephen Cottrell was recently involved in the organisation of a conference on the well-known Radio 4 programme Desert Island Discs, held at the British Academy. Follow the youtube link below to see his discussion with composer Gavin Bryars, folk singer Martin Carthy, and cellist Steven Isserlis about their experiences of being on the programme, and their thoughts on music, autobiography and memory. This entry was posted in Conferences, External events, Research and tagged Desert Island Discs, Gavin Bryars, Martin Carthy, Stephen Cottrell, Steven Isserlis on November 13, 2013 by sbbd746. This entry was posted in Uncategorized on November 13, 2013 by sbbf461. Next week City University’s Concert Series presents ‘Electric City’, a concert of electronic and audiovisual works. The programme includes works by Lauren Sarah Hayes, Joseph Hyde, Orestis Karamanlis and we’re delighted to welcome Pamela Z from the USA, who will be performing a number of her compositions for voice and live electronics. We spent some time speaking to Pamela about her work. Your voice is central to your solo performances with live electronics. Could you talk a little about your vocal style and how this has evolved since you first trained as a classical singer? I’ve been a musician all my life, so I think that my vocal style has been developing for a very long time. I wrote songs and was constantly singing during my childhood and youth. I got my first classical voice training in high school, where I had a very good concert choir teacher who took a lot of care and gave a lot of private attention to the students she felt were gifted, so I actually sang opera arias in High School. And I was a voice major in college, and continued to study with a bel canto teacher off and on long after I was out of school. But, through all of that training, I was always writing and singing my own songs as well, which were, for many years, focused on a kind of folk or rock singing style. I used to find it difficult to figure out what to do with these separate singing styles and reconcile them in any cohesive way. I feel that I actually “found my voice” as an artist when I started working with electronic processing and composing and performing works of a more experimental nature. I realized that it was possible to incorporate “bel canto” style in my work, along with a wide array of experimental vocal techniques and spoken text. And that it was possible (and even desirable) to combine these styles – even within a single work or a single phrase. 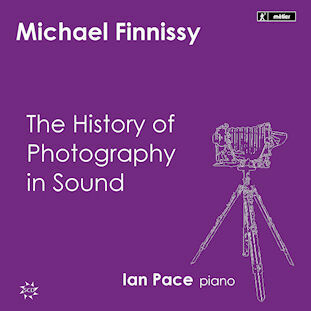 So I suppose I would characterize the evolution as more of an expansion of the possibilities of timbre and techniques, and a removal of the solid lines that used to separate the different approaches to singing. Why do you work with live electronics? And how does your live electronics setup change from one work to another? I actually consider my instrument to be the combination of my voice and the electronics. I work with live electronics because I like the way I can expand my palette of possible colours and textures even beyond the already wide ranging possibilities inherent in the most flexible instrument that is the human voice. My vocal sound is mediated through the electronics in ways that usually result in recognisably vocal sound, albeit layered or granulated, pitch shifted or, at times, distorted. And, I enjoy the possibilities that come from being able to add sampled found sounds to the mix and control and manipulate those sounds via various gesture control devices. I like to think that the interplay between the electronics and my voice is very organic. My setup involves a main MAX patch that I consider to be the heart of my processing instrument, and a few other auxiliary patches that work together with that patch. I constructed and developed that patch over the years with a lot of help from some of my über Max-geek senseis. The idea, originally, was to replace a hardware setup that I started putting together back when I first started processing my voice in the early 1980s. It involved a lot of delay lines and multi-effects units and a sampler, so I strived to create that same set-up in MAX MSP. So, a lot of artists I knew who were using MAX tended to build a new patch every time they composed a new piece. But I tend to see my patch as the instrument I use in all my pieces. I just change parameters (like delay lengths, panning, granular settings etc) and create presets within the patch to make it appropriate for each work I perform. I start a concert with this integrated set of MAX patches open, and I just switch my presets for each piece as I perform my concert. The performance on Tuesday will include video. What is the relationship between the aural and the visual in your solo performances? I actually work quite regularly combining image and sound these days. Sometimes I see the visual component as an extension of the sonic component – just expanding the work to include the visual realm. Other times the visual just acts as a kind of setting for the work – like a lighting design that enhances the completeness of the experience. There are some works I do where the video is interactive – either responding to the sound of my voice or to gestures I’m doing that are also triggering or manipulating sound. I think I like to see different media as intertwined and, again, I like erasing or at least blurring the lines that sometimes segregate the different disciplines and practices. I believe that live performance does that already, even when there is no video. I think of my physical presence – my gestural movement and facial expressions etc – as integral parts of the compositions. I have many irons in the fire as they say. A big project I’m currently working on is a multi-media chamber work called Carbon Song Cycle. It’s a collaboration with a video artist, Christina McPhee. I composed the music for voice & electronics, viola, cello, bassoon, and percussion, and Christina made immersive multi-channel video projections. We premiered this work at the Berkeley Art Museum in April, and we’re about to give the New York premiere at Roulette in Brooklyn this month (November 20th.) We’ll perform it in San Francisco in February of 2014, and we’re actively seeking bookings for it elsewhere. It’s the kind of work that might be fun to take to Universities and work with musicians from the college of music student body to perform the work. Right now, I’m also in the midst of working with a composer/inventor collaborator of mine, Donald Swearingen, developing a new x-y-z gesture controller that I hope will inspire a great deal of new interactive works. And how does it feel to be woman working in the male-dominated field of performance and composition with technology? I will say that I tend not to really think about it so much except in those cases where people say or do things that are blatant reminders of the issue. Otherwise, I tend not to be so very focused on the issue of gender when thinking about my work. But it’s interesting how that has been constantly shifting and changing over the years. Things are much improved in that regard since the time I first started working in this field. It still has a long way to go, but things are noticeably different today. It used to be that, if I was selected to appear on a compilation of electroacoustic music, I’d be the only woman on the disc (unless it was one of those “a collection of women composers” type discs.) That isn’t so much the case anymore. More women are getting the notice and respect they deserve in the field. So that’s good news. But there’s always room for improvement. One other comment I’ll offer is this: the fields of electronic music and music & technology are clearly still male dominated, but there is one area that woman have always had the edge on. That is the practice of combining voice and electronics. There always have been more women than men who work with live voice combined with electronics. It might be due to the fact that women lead the field of experimental vocal work in general, but I’ve always found it to be true. One can easily rattle off a list of women who compose and perform works for voice and electronics – Diamanda Galas, Laurie Anderson, Amy X Neuburg, Joan LaBarbara, Maja Ratkje, AGF, Pamela Z etc. But try to think of more than one or two men known for doing that. It’s just something interesting to think about. More information on Pamela Z’s work can be found on her website. Pamela Z will be performing on Tuesday 12th November at 7pm in the Performance Space, College Building. This entry was posted in Concerts on November 8, 2013 by Diana Salazar. City’s latest music research seminar saw staff, students and other London-based researchers engaging in a critical panel discussion of Georgina Born’s well known article, ‘On Musical Mediation: Ontology, Technology and Creativity’. The evening began with a series of brief responses, which touched on a range of issues. Ikuko Inoguchi and Diana Salazar discussed the relevance of Born’s argument to practicing musicians and practice-based researchers, while Liam Cagney assessed the article as a work of music philosophy. Miranda Crowdus and Kyle Devine offered degrees of reflexivity, situating the article within Born’s oeuvre and as itself an artifact and agent of history and culture. Ian Pace used a wealth of historical examples to call into question several of Born’s generalisations about relationships between ontology and genre. Finally, in addition to chairing the panel Laudan Nooshin offered a response on creativity, stemming from her work on Iranian improvisation. The ensuing floor discussion was equally wide-ranging, covering topics from the practical to the philosophical. A common thread weaving through much of the evening (and, indeed, much of the research and teaching in City’s Music Department) was the degree to which technological mediation influences our understanding of what music is — and what it might be. This entry was posted in Current students, Research on November 6, 2013 by sbbd746. City hosted this half-day conference on Wednesday October 23rd as part of the Inside Out Festival, which supports and showcases the contributions made by London universities to the city’s cultural life. 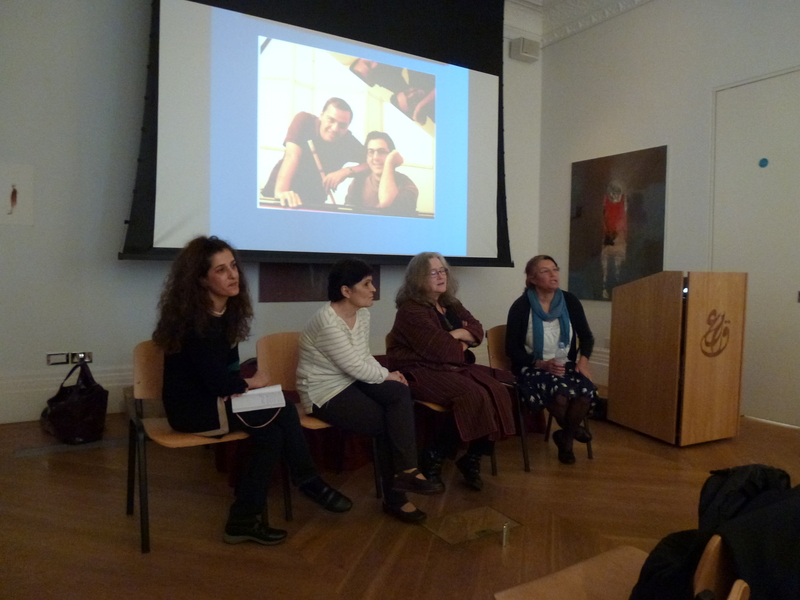 The conference was themed around middle eastern musical encounters in the urban UK, with a strong and distinctive emphasis on practice: the speakers were all composers and / or performers whose work deals with middle eastern music, albeit in very different contexts and with different approaches and results. Sean David Crowdus outlined how, in his piece A Sailor’s Dream, notions of cultural difference are represented, played with and negotiated through the setting of the middle eastern maqam alongside a more straightforwardly ‘western’ musical language. The two idioms are encapsulated by two distinct ensemble alignments, allowing the musical encounter to present itself dramatically through performance. Seth Ayyaz gave a broad overview of his work as a composer and of new developments in experimental music and sound art in the middle east, beginning with a short documentary covering the 2010 Mazaj festival. The festival, which he curated, was a rare opportunity to have diverse practitioners of experimental music engage in live discussions about issues surrounding creativity in contemporary middle eastern contexts. Ayyaz also played extracts from his recent pieces makhraj and the bird ghost at the zaouia. He outlined how he was both inspired and troubled by performing at London’s Leighton House, given the building’s historical association with British imperialism and orientalism. Soosan Lolavar introduced her new project Stay Close, which aims to harness contemporary classical music as a means of cultural exchange between the UK and Iran. The project’s first phase involved a trip by Lolavar to Iran, where she met a variety of composers and forged links with institutions such as Hermes Records. The second phase, recently begun, involves leading creative workshops with youth groups at the Iranian Youth Development Association, aiming to stimulate musical creativity among London’s Farsi-speaking diaspora. 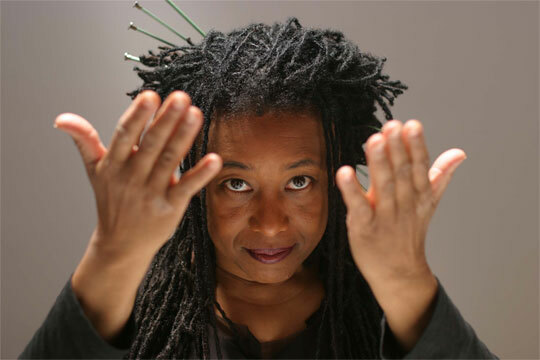 Ultimately this will lead to the composition of a new work by Lolavar to be premiered in 2014. The final item was a performance of Iraqi Jewish songs by Sara Manasseh and Keith Clousten, providing an ideal counterpart to the presentations. Beyond the captivating music itself, Manasseh was able to draw on years of knowledge and research on the history of Iraqi Jewish music when introducing and discussing each song. This entry was posted in Conferences, Current students, Research on November 6, 2013 by sbbd746.